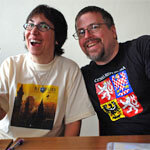 Hugo Award winner Ann VanderMeer and World Fantasy Award winner Jeff VanderMeer have recently co-edited such anthologies as Best American Fantasy #1 & 2, Steampunk, Steampunk Reloaded, The New Weird, Last Drink Bird Head, Fast Ships, Black Sails, and The Thackery T. Lambshead Cabinet of Curiosities. They are the co-authors of The Kosher Guide to Imaginary Animals. Future projects include The Weird: A Compendium of Strange and Dark Fictions for Atlantic and two indie anthologies ODD? (Is it Odd Or Are You Too Normal?) and BESTIARY. Jeff’s latest books are the novel Finch, the story collection The Third Bear, and the coffee table book The Steampunk Bible (with S.J. Chambers. 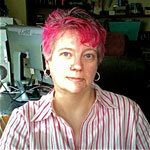 Ann is the editor-in-chief of Weird Tales magazine and has a regular art column on the popular SF/fantasy website io9. Together, they have been profiled by National Public Radio and the NewYork Times’ Papercuts blog. They are active teachers, and have taught at Clarion San Diego, Odyssey, and the teen writing camp Shared Worlds, for which Jeff serves as the assistant director. Speaking engagements have included MIT, the Library of Congress, and World of Warcraft. They live in Tallahassee, Florida, with too many books. For more information, visit www.jeffvandermeer.com. How does one become an editor? What qualities are necessary to be one? JEFF: Good anthology editors need an excellent sense of structure and proportion, but, most importantly, need to be widely read across all kinds of fiction, as well as nonfiction and poetry–you need as wide a perspective as possible to inform your decision-making and know lots of writers. I came into editing when I started my own publishing company in 1984. While publishing a magazine, I focused on great poetry by Pulitzer Prize and National Book Award winners, published reports like Sesshu Foster’s on the Nicaraguan Book Fair, and then branched out into speculative fiction with early work by Kathe Koja, Mir Tamim Ansary, Mark Rich, and Steven Sherrill. My first anthology, Leviathan #1 in 1994, expressed my belief that the divide between “literary” and “genre” fiction is a false and harmful one. In short, I put in as many years training to be an editor as I did becoming a writer. ANN: People who become editors usually do it because they love it. They love books, stories, reading, and writers! That’s why I do it. Qualities? Widely read, I agree with Jeff on that. You also have to be very detailed oriented. You need patience and a belief not only in yourself but in your writers and your reading audience. Give the readers the opportunity to join you on the adventure when you discover the fiction that you love. When I started The Silver Web I never imagined that my love of reading and editing would bring me to this point. I just wanted to share the stories that excite me with as many people as possible. Over the years I’ve had contact with so many talented writers. It thrills me to see their careers grow from that first short story to a multi-book deal contract. And I am glad to have played some part in that. As a team both in the personal and professional sense of the word, how do you keep those separate? Or do you? ANN: It seems like we’re always working and I think that’s because we usually are. Even when we schedule downtime to go to the beach, the pool hall or take a hike, we’re bouncing ideas off each other and discussing current projects. But it’s important to make more of a separation. Even though I enjoy our discussions, it’s nice to talk about something else, and to hang around people are not connected to our projects in any way. Because honestly, sometimes you can bore yourself if that’s all you do. Plus some of the best ideas come out of nowhere when you’re doing something else. So, we’re still working on finding a better balance. JEFF: Definitely there’s too much overlap because you do want to have time for yourselves and, for example, not take vacations that use a convention as their jumping off point. In recent years this has been a bigger and bigger concern and we’re trying to get things back in balance this year. What was your first joint project? JEFF: Best American Fantasy, Vol. 1, with Matthew Cheney as series editor, although she had helped out extensively with the Leviathan anthology series and The Thackery T. Lambshead Pocket Guide to Eccentric & Discredited Diseases, and I had assisted on projects from her press. ANN: Jeff and I collaborated unofficially on most of our earlier projects. I remember Jeff jumping on the Silver Web slush pile with me back in the day. He claimed it was relaxing! And I read almost every submission that came in for Leviathan and the fake disease guide—because that’s my favorite thing to do—reading! When we took a step back and realized that we were doing these projects together it made sense to make it official. What projects are you proudest of? ANN: My first thought would be The Weird, because it was such an enormous project that came with a great deal of responsibility. After all, we’re documenting the past 100 years of “weird” fiction—we had to make sure we got it right. But then I think about our original pirate anthology, Fast Ships, Black Sails. I am so very proud of that book—the fiction is excellent and contains a wide mixture of established professionals alongside up-and-coming writers. And of course, I am always most in love with whatever project I am currently working on, so The Thackery T. Lambshead Cabinet of Curiosities is my new boyfriend, so to speak. JEFF: Some of our projects may seem similar, but they really aren’t, so you’re proud of different anthologies for different reasons. The Weird I might be proudest of because it’s the largest antho, at 750,000 words, that we’ll ever do, and it covers a century of weird fiction. I’m proud of it because I think we not only picked great stories, after doing intense research, but we had to overcome so many behind-the-scenes obstacles to bring the project home. We also made a concerted effort to find the best examples inside and outside of genre, so we juxtapose writers of weird fiction that naturally should be found together but usually aren’t. And even though many classics of weird fiction are from UK/US writers, we also have stories representing more than fifteen nationalities and several important new translations, including of Julio Cortazar’s “Axolotl,” which hadn’t been re-translated for half a century. At the same time, The Thackery T. Lambshead Cabinet of Curiosities really came together in a great way in how it combines art and fiction, traditional takes on story and more experimental takes. 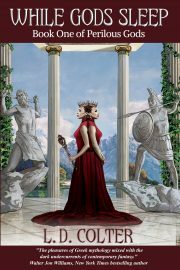 It’s turned out to be a kind of showcase for, or treasury of, modern fantasy, and I’m proud of our process for selecting writers for it, which included an open reading period for micro-submissions. We have a great variety of new and established creators in the anthology, and that really enriches the whole thing. What are the biggest problems you face when putting together an anthology? ANN: Schedule and budget. I wish we had more money and more time. We have so many great ideas for anthologies, I wish we had time to do them all. JEFF: Sometimes it’s getting buy-in from a particular community. For example, the hostility within certain parts of the genre community to the Best American Fantasy series, which combined fantasy from genre and literary magazines, made the process much more stressful and exhausting. Time constraints can be daunting. You literally warp your life in pursuit of doing the project right. Writers who said yes initially bowing out can be a problem, because we don’t believe one point of view is easily replaceable by another. Also, finding the right translators, money constraints—it just depends. In Part II, Ann and Jeff discuss the worst working conditions they’ve ever dealt with, how they maintain their high levels of productivity, their dream project, and more! Find Cat Rambo’s fiction at her website. She teaches at Bellevue College, acts as a board member for Broad Universe and serves as a volunteer with Clarion West. Her most recent publication is her short story collection for Kindle and other e-readers. Look for upcoming work in 2011 in Abyss & Apex, Beneath Ceaseless Skies, Bull Spec, Daily Science Fiction, Giganotasaurus, Lightspeed, and more. Wow, great part 1. Looking forward to part 2 and that “dream project”.